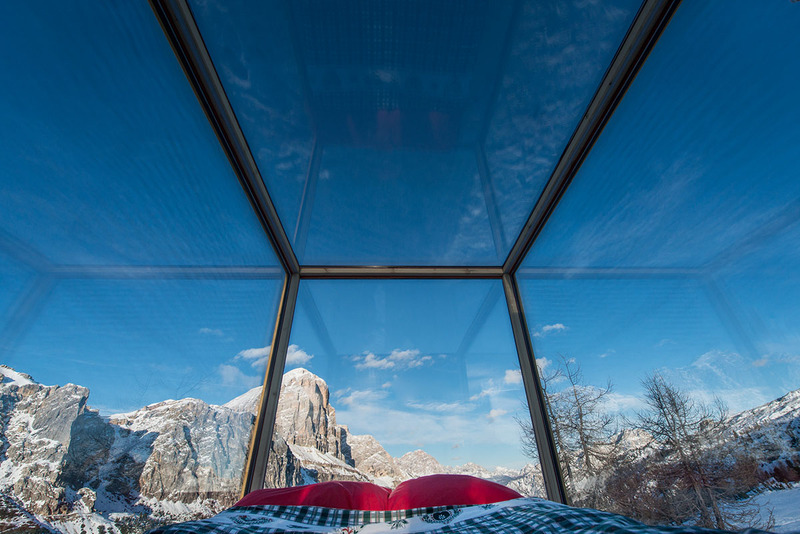 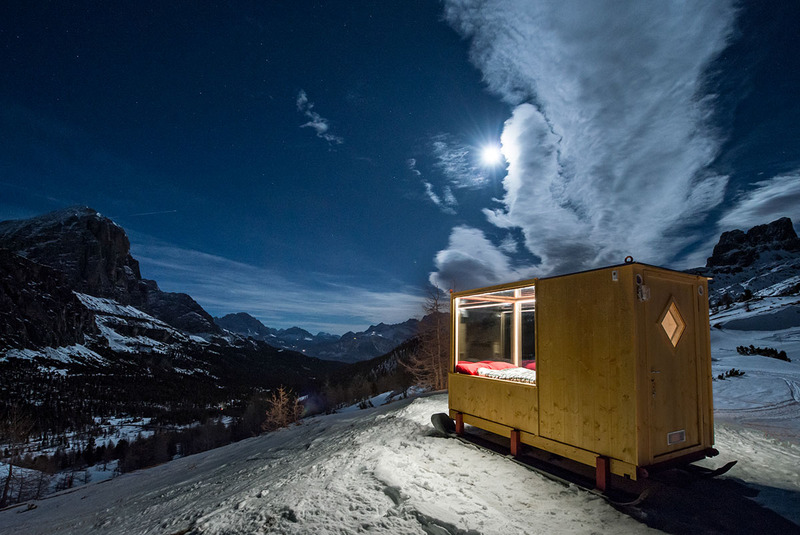 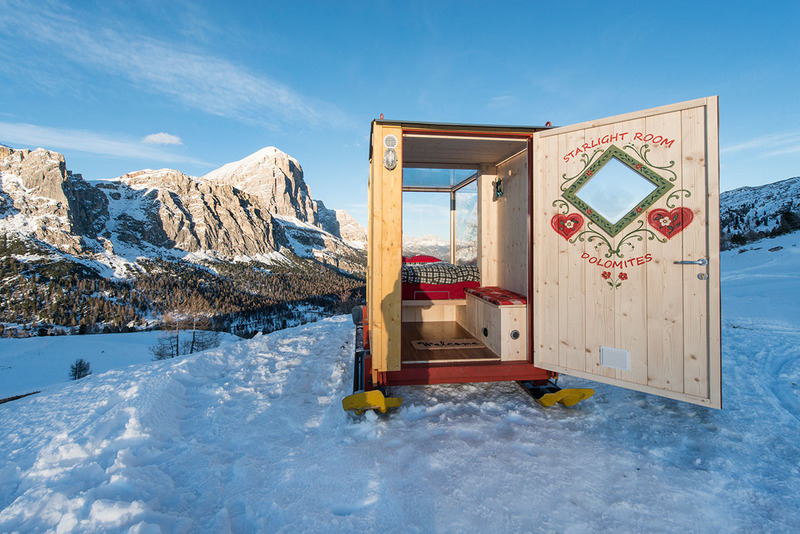 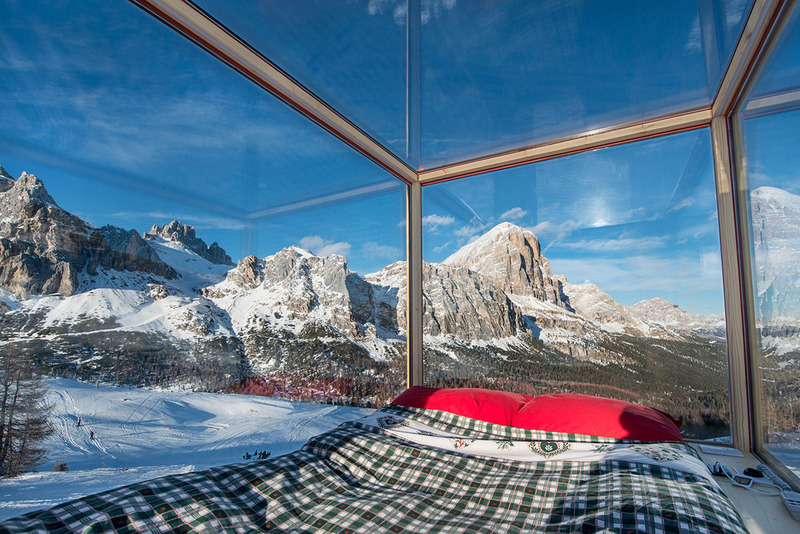 Approximately 20km from the busy city life of Cortina d’Ampezzo and Val Badia, you can spend a night in the Starlight Room Dolomites for $333 per night – dinner and breakfast included. 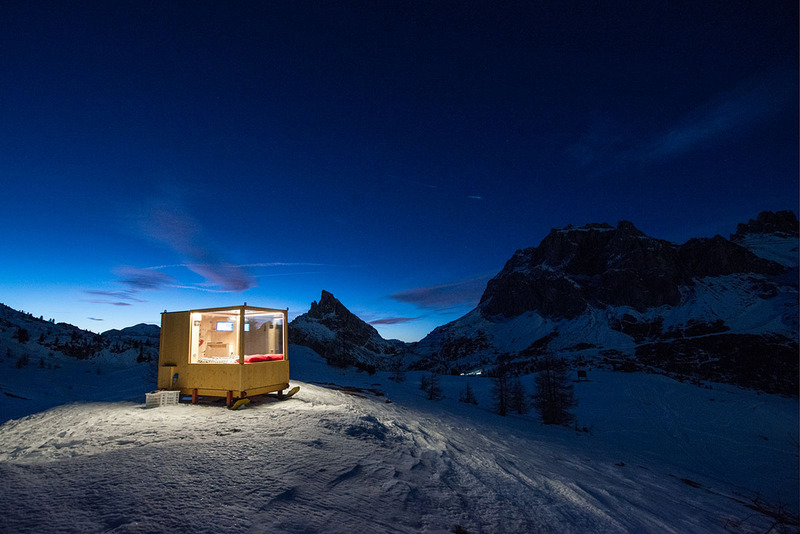 It is a super tiny but absolutely cozy looking cabin and offers room for up to two people. 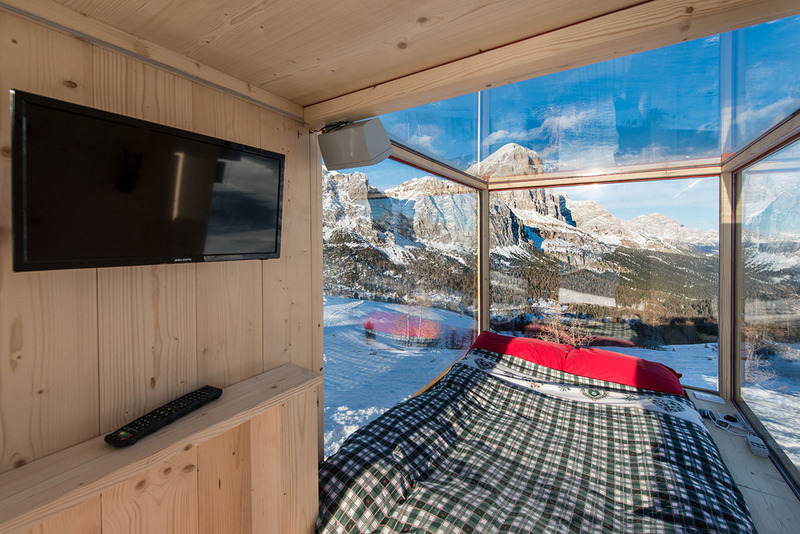 The back of the cabin features a glass ceiling and walls which give you unobstructed views of all your surroundings. 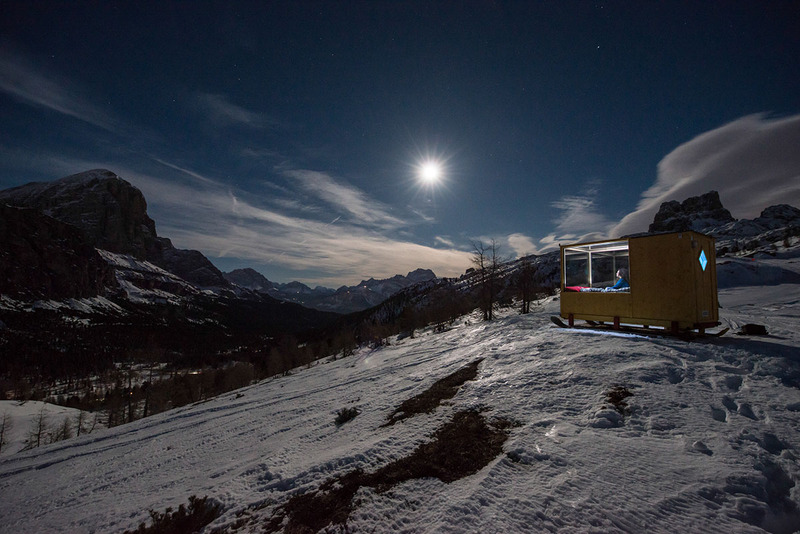 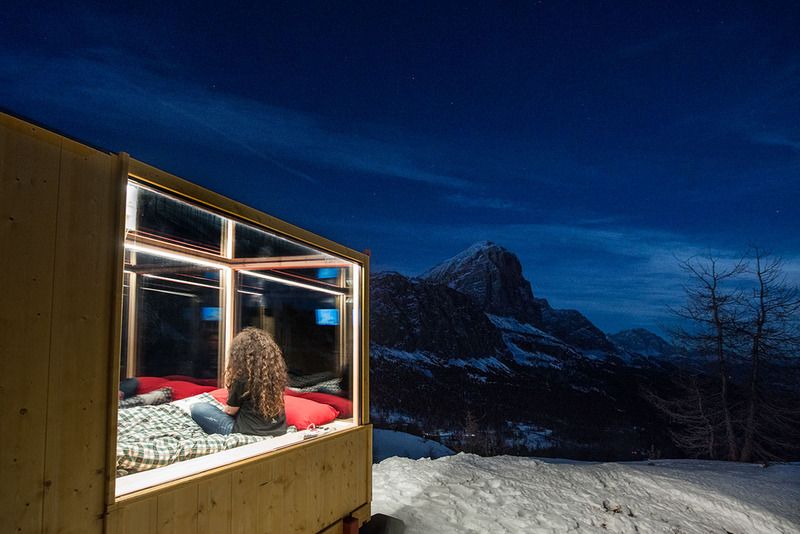 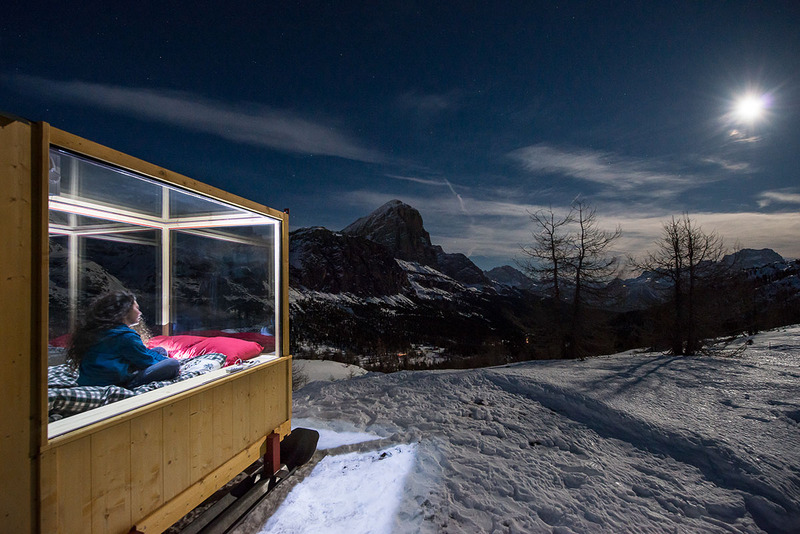 Sleeping in a height of 7,000 feet and being able to experience the alpenglow lying in this cabin’s bed sounds pretty tempting and a little bit frightening at the same time to be honest. 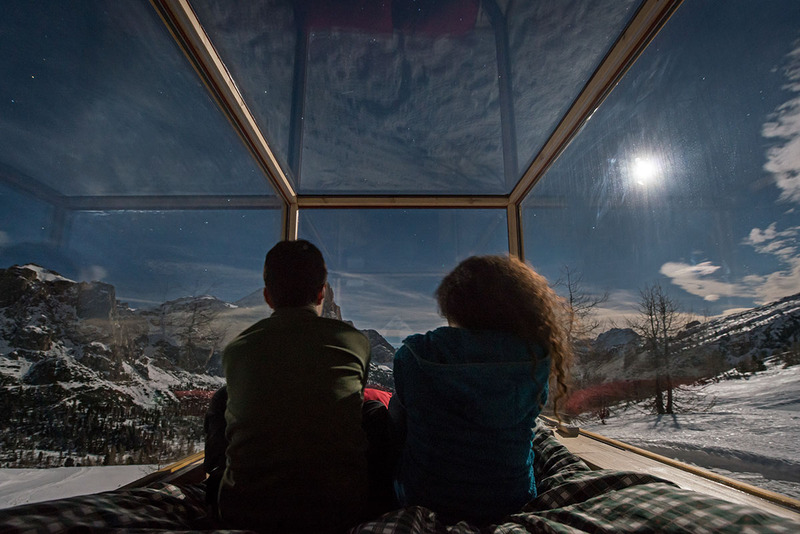 Even though the night sky must be amazing to watch, it could quite easily become pretty quite and dark with nobody else around.